Indian Inc is moving away from the humdrum sweets and dry-fruit boxes when it comes to gifting employees and clients this festival season. Know how organizations are innovating with the idea of corporate gifting. Since the festival season began, organizations have been absorbed in the usual hustle and bustle around choosing the perfect gifts for their clients and employees. While gifting is essential in a professional setting year-round, its necessity maximizes around the holiday season. Extending gifts to employees, customers and clients allow businesses to wrap up the year on a nice note and start the New Year on a high one. Sweet treats, electronics, home décor, gift coupons are the most sought but banal gifting options. This year companies moved away from the traditional way of gifting and are opting for unique solutions. For example, PayU, a fintech company that provides payment technology offered its employees with a multitude of options which followed a unique concept for personalized gifting. The company came up with “Choose Your Own Gift” concept. The employees could choose gift vouchers from all the leading e-commerce portals. While some corporates followed the idea of hampers, few crowd-sourced the idea itself. Pocket Aces employees were asked to list a couple of gift ideas of their choice. The selected top-three would get anyone. This year a lot of companies also went the eco-friendly way in celebrating festivities and gifting their employees and clients. For example, Auxilo Finserve Pvt Ltd, a non-banking financial institution, decided to give its employees coir pots with Auxilo branded ‘sharpen-able’ seed pencils along with fertilizer tablets which convert the seed pencil into a fresh plant after 20-28 days. While some companies focused on growing trees, others directed their efforts into giving back to the society. This Diwali, Adani Group gave its employees goodies and handicrafts made by artisans supported by Adani Group Foundation from the interiors of Gujarat. This initiative is to provide the artisans with a platform to showcase their skill. e-commerce company bought 295 digital subscriptions of People Matters magazine for its HR team. "Flipkart on the occasion of Diwali planned to promote the joy of learning by gifting employees yearlong subscriptions of industry’s best and relevant," said Rashmi Anthony, Senior Manager Leadership Development at Flipkart. 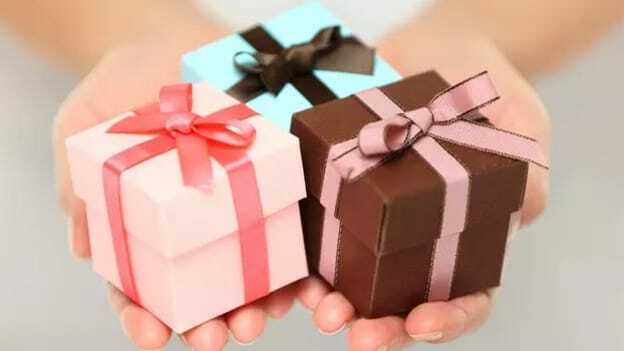 The process of giving a gift to a colleague, subordinates or clients is always a tricky affair, as it entails a significant amount of personal, demographic and psychological estimations. It seems the trend is moving away from the mundane dry-fruit boxes when it comes to gifting employees and clients this festival season. What are you gifting this holiday season? Well, if you haven’t thought of anything or forgot to buy gifts, gift a People Matters subscription and let your peers and employees get access to insightful features, comprehensive tool-kits, and relevant tips to stay ahead of the talent curve.